Water heaters are regarded as some of the basic needs at home known to play a major role in our daily routines. Dish washing, morning showers and laundry are some of the most basic essentials that require hot water more so during winter. However, like any other special amenity in our daily routines, proper maintenance of your heater will not only guarantee steady supply of the precious commodity but also go a long way in saving you a lot of cash in the long run. First and foremost, it would be in your best interest to endeavor and conduct a thorough research so as to understand the basic operations of your entire system. Basic understanding of the whole system would offer you the much-needed knowledge before you seek Water Heater Services in San Tan Valley. It is common knowledge that any faulty electronic gadget is likely to consume more energy due to the slow pace of heating water. Therefore, a professional with adequate expertise about water heater installation would provide you with adequate knowledge and information. 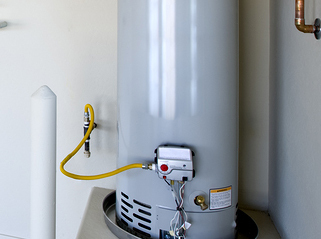 Also, a properly functional water heater system would provide you with adequate supply of hot water at a lower cost. We are 24 hour Water Heater Services in San Tan Valley with a wealth of experience spanning decades in water heater installation, water heater repair and water heater replacement just to name a few. Our services are well enhanced by the team consisting of professionally trained technicians equipped with the latest equipment, tools and technology. If you have been facing issues with your comprehensive water heating unit, it would be in your best interest to have our number on speed dial just in case. Give us a call and you shall have all your plumbing problems sorted once and for all.